Malaysia is Your Gateway To Asean-Single Market! Malaysia is one of the best places that offers you a residency and business opportunities with the Asean Economic Community (AEC) of more than 630 million market potential with GDP worth of USD 2.3 trillion. With good infrastructure in place, it is able to support all your business needs at a reasonable cost! 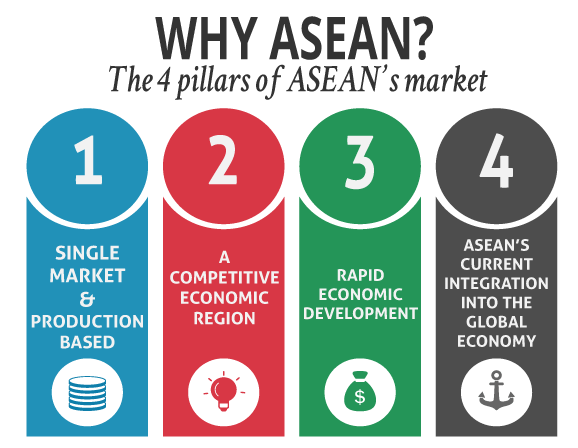 It is time now to tap into the rapid-growing, opportunity-ridden market of ASEAN! Welcoming Foreigners to Invest in Malaysia! Starting a new journey of settling down in Malaysia can be overwhelming! 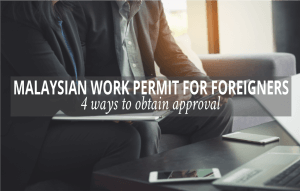 There are many things you need to know and to consider carefully, especially if Malaysia is a completely foreign country to you. Not only do you need to find potential business opportunities to invest in and the various types of visa offered, but you will also need to deal with these intricate issues that can get complicated with their own merits and compliance to consider. Find out the best options for your intend business available to you in order to meet your objective in Malaysia. The option you decide to take will affect your eligibility for trade licenses and your work visa application with all relevant ministries of Immigration Department, Trade Consumerism, Local Town Councils, Company Registration, Tax Department, etc for your trade. Malaysia Ranked Top 24th Country in The World Ease of Doing Business in 2018 Report. Click here to see how Malaysia Progresses! It is important to get the first step right from day one, once you have made the decision to start a business in Malaysia. Doing it right from the beginning will help your renewal process go smoothly for all matters on your trade license, visa, taxation, etc., for the onward years. 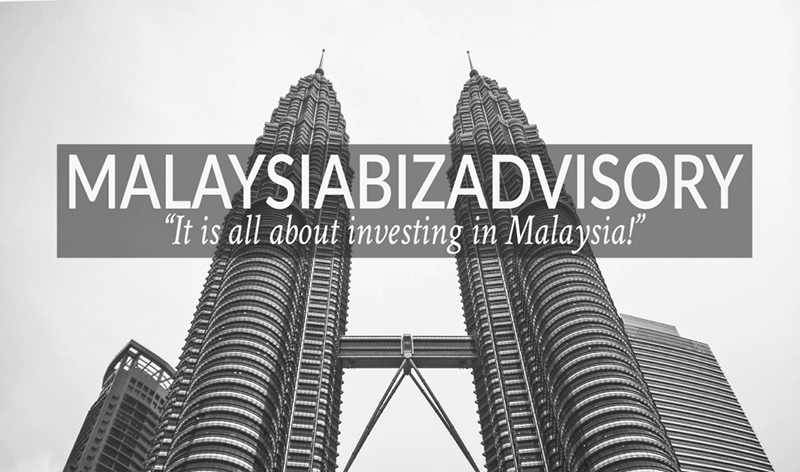 At MalaysiaBizAdvisory, we act as your Independent Business Advisor providing services, which include complete peripheral support from incorporation, licensing, visa, accounting, tax including offering latest updates and advise on changes which may take place in various Governmental Departments which may affect you and your business. Acting as your liaison person to conduct due diligence, fact-finding and negotiation, our goal is to assist in minimizing your investment risk to the lowest. With our expertise and experiences dealing with more than 60 different nationalities worldwide, our roles in business investment services is craved and dedicated only to foreigners, be it pure investor or businessman who like to start a business in Malaysia. 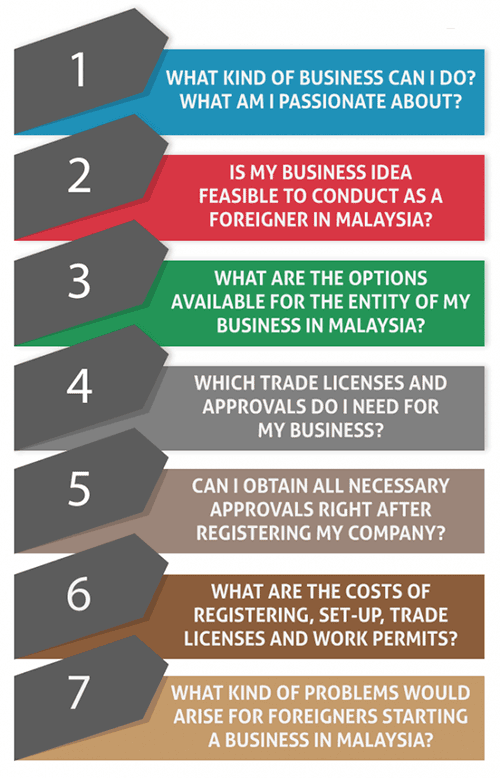 Questions That May Bother You When You Start Your Business in Malaysia! Begin with the wrong step is costly! Especially for investment that is huge in amount and complex, good advise will help to minimize your risk. Seek expert advise for a comprehensive advisory to implementation to secure your interest 100% be it local or international business set-up in Malaysia! Call us today +603 2181 2882 for a private consultation. We offer both local and international dealings structures and entities set up to meet your investment objectives in Malaysia. The best entity for foreigners is to own 100% of a Labuan International Company, a perfect match for cross-border business transactions with a low tax. Find out more, please click here! 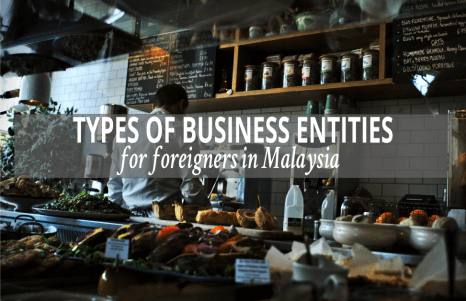 Unsure which Entity You Should Own for Your Business in Malaysia? 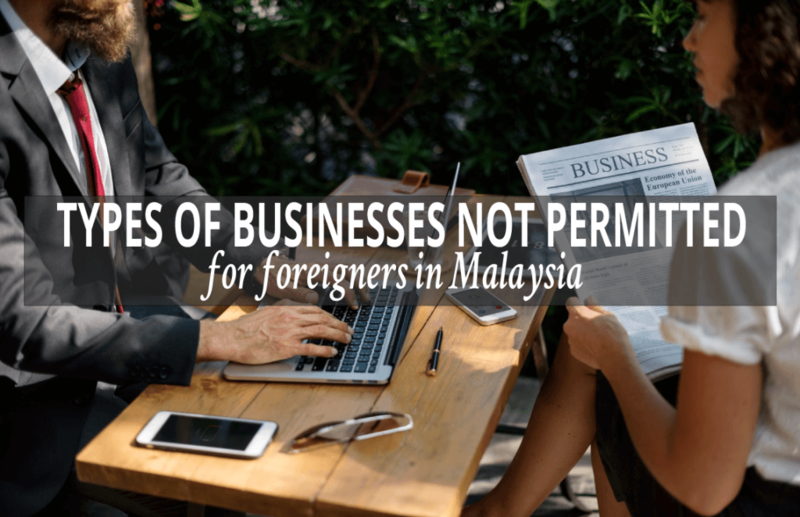 It is common many foreigners do not know which is the right entity to own for their new business set up in Malaysia! Getting into the wrong entity not only expensive, but it also wastes time and cumbersome to get out. Check out for more information on the most common entities owned by foreigners in Malaysia and what is the difference between them! COMPANIES FORMATION RIGHT FOR YOU AND ADVISORY SERVICES AVAILABLE! There are many different types of business entities available in Malaysia, good to explore with us the best option to meet your goals in Malaysia! For foreigners, we recommend the best one will be 100% owned by you, this will give you a peace of mind especially when your business grow rapidly with big transactions! Examples of some Malaysia business entities are Malaysian Sdn Bhd Company, Labuan International Company and Representative/Regional Office. Majority Businesses-No Need Trade License! Lower risk and Set Up Cost! 2 years’ Work Permit is available! Fast Processing, all within 45- 60 days! Under Labuan International company, not all sectors need not require any license to operate. Only 10 sectors required trade license: Banking Money Broker Insurance Leasing Wealth Management Fund Management Mutual Fund Factoring International Commodity Trading and Shipping. Ready To Start Your International Company, click here to send us enquiry! Fact: Changes in various Ministries and Immigration are on-going without any notice! At MalaysiaBizAdvisory, we provide the latest, prompt information for clients to plan ahead and act swiftly to enable all compliance are met to align ensuring your business and visa not affected by the changes for your permanent presence in Malaysia is valid for onward renewable. Possible to start Crypto Exchange business in Malaysia? Interested to expand your crypto exchange business in a crypto and blockchain business-friendly nation targeting Malaysians market as well as using Malaysia as a hub for Asean transactions, huge opportunities awaits you! 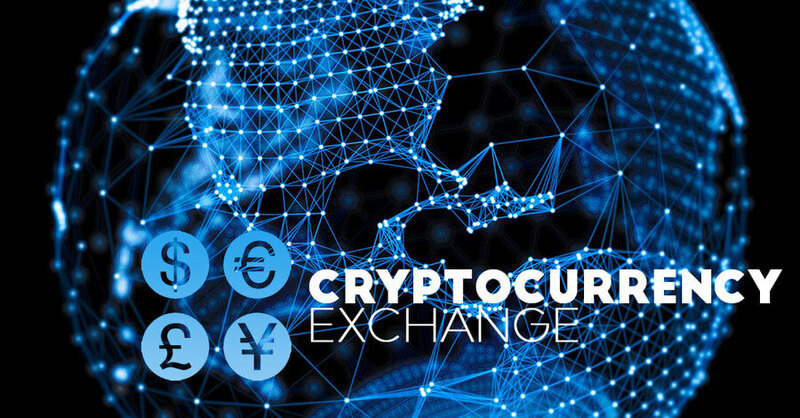 We offer total solutions in setting up a compliant Cryptocurrency Exchange that permits you as a foreigner to operate cryptocurrency exchange from fiat to crypto, crypto to crypto or crypto to fiat for legit cryptocurrencies business in Malaysia. Our total solutions for the cryptocurrency exchange business set up includes hand holding service to guide you from A to Z including special craft of AMLA and KYC guides, manuals, a system with risk mitigation to match your business model and objectives. We also assist in the local operations set up comply with various regulators, ministries and human resources deployment. Explore more in details here! Latest Major Problems Faced by Foreigners Setting-up Malaysian Sdn Bhd Company. Click here to know more! Choosing between having a local Malaysia nominees or not, largely depends on the requirement of the nature of your business! All directors are required to sign company documents for the smallest changes, nominees do not turn up! At all times, the best option is to own 100% of your company in Malaysia unless it is a real partnership or businesses that required local participation. Unsure where to begin? Unsure if any Malaysia opportunities available to? The fastest way to access Malaysia market through the setting of your Representative or Regional Office! Hassle free without the need to set up Malaysia company…easy and cheap! These international companies initial step into Malaysia to have their presence in Malaysia via Representative/Regional Offices. 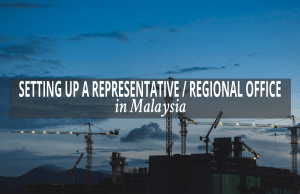 Representative/Regional office allows all foreign-based companies to have a presence in Malaysia for a minimum of 2 to 3 years together with their expatriates to explore business opportunities in Malaysia. In short, it gives you an opportunity with “window period” to see if Malaysia is the right place for you to stay and start a business! Easy to qualify as long as your company (in your country) has been established for two years -simply using your profile and documentation! Fast approval within 60 -75 days! You and your dependents (spouse and children of under age 21) will be entitled to 2 years’ Expatriate Work visa. 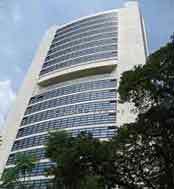 Various residency visa options available to you and family to reside in Malaysia! Call us at +603 2181 2882 for an appointment to discuss your scenario and we can assist you to select the right visa option best suited for your profile. We provide full support on visa application including complete profiling and documentation with onward immigration support during your stay in Malaysia. SUPPORT AND SERVICES JUST RIGHT FOR YOU! Preparation and Yearly Audit Unsure of How To Set Up the Right Entity for Your Business? Send Us Your Enquiry Today! The above list inexhaustible as you proceed with your daily business in Malaysia! Do contact us for any special service you may need from time to time. Since 2001, we specialize only serving foreigners, nothing is too difficult for us. We do our best to assist in any way we can, feel free to connect us anytime, anywhere!